MADRID (AP) — A preliminary hearing in a rebellion case against Catalan separatists Tuesday displayed some of the dynamics between defense and prosecutors expected during a trial that is likely to dominate Spanish politics. At Tuesday’s hearing, a panel of seven magistrates heard from defense attorneys who argued the trial should be heard by the top regional court in Catalonia rather than Spain’s highest court in Madrid. The country’s top court also has jurisdiction, prosecutors argued, because the secession attempt affected all Spaniards. Supreme Court judges rejected similar defense appeals during the investigative stage of the case. A final decision is expected later this week. If the top court keeps the case, former Catalan Vice President Oriol Junqueras, activist-turned-politician Jordi Sanchez and 16 other defendants are expected to appear there when the trial proceedings get underway at the end of January. Four defendants are three weeks into a prison hunger strike to protest what they deem unfair treatment by Spain’s judiciary. 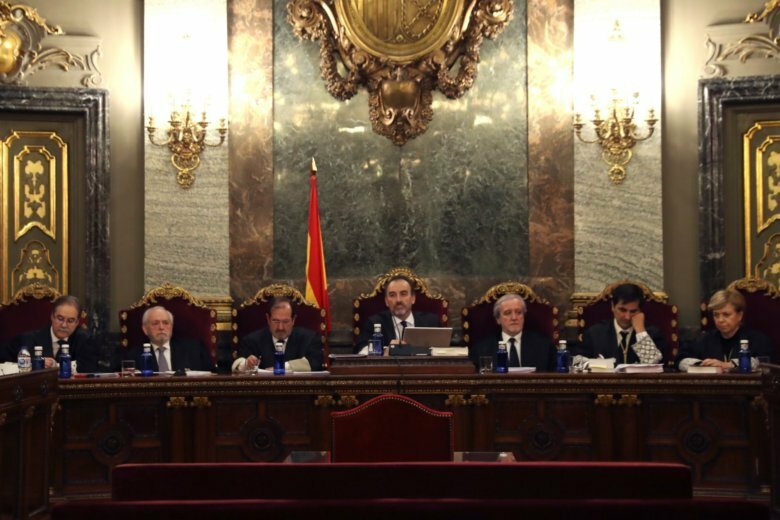 Central government authorities say there is no reason for the strike and the defendants’ rights are guaranteed by Spain’s independent judiciary. The “trial of the century,” as it’s been labeled by domestic media, has taken a high political significance. Separatists in the northeastern region have made clear that they will use proceedings to prove that they are being tried for their ideas, and in particular for advancing a secessionist agenda. In addition to prosecutors and state attorneys, a far-right party that has recently emerged in Spanish politics sits on the prosecution bench. Vox wants to use the trial to showcase its hard stance against nationalism and its defense of Spanish unity ahead of European and local elections in May next year.